Mark Rutherford, born William Hale White in Bedford in 1831, had his life celebrated on Saturday 22 June 2013 at a symposium commemorating the 100th anniversary of his death on 14 March 1913. The Symposium, organised by the Mark Rutherford Society and held at Dr Williams’s Library in London was opened by his great-grandson, John Hale-White (below) and chaired by Professor of English Literature at the University of Bedfordshire, Bob Owens. William Hale White is generally regarded as the most important novelist of the nineteenth century to have emerged from a Nonconformist background and to have taken Nonconformist life and experience as his main subject. He is undeservedly neglected and the Society’s aim is to redress this. His portrait (above, left) is by Arthur Hughes, drawn in 1887. The ‘Mark Rutherford’ novels share a power and style which are distinctive in the literary history of their time. George Orwell described Mark Rutherford’s Deliverance as ‘one of the best novels written in English’. D. H. Lawrence wrote, ‘I have always had a great respect for Mark Rutherford . . . so thorough, so sound, and so beautiful’. Arnold Bennett regarded him as ‘a novelist whom one can deeply admire’. Claire Tomalin wrote that White’s novels ‘draw directly on a private store of memories and emotions, and you sense quite strongly that he took up a mask in order to be nakedly confessional in a way he could not otherwise have managed’. 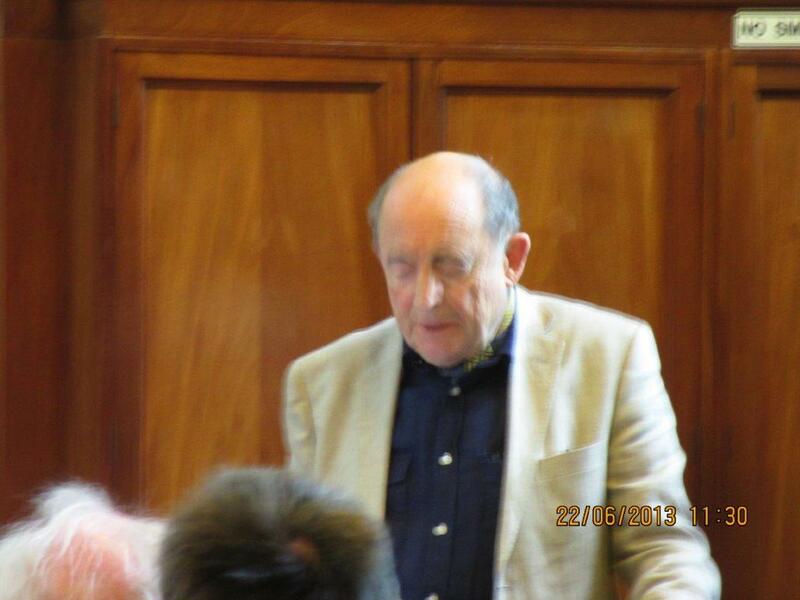 Professor Owens opened the Symposium briefly summarising Mark Rutherford’s life and importance. Roger Pooley, Professor of English Literature at Keele University followed with an assessment of Nonconformist culture and politics in The Revolution in Tanner’s Lane. The panel closed with Professor Valentine Cunningham of Oxford University on ‘Mark Rutherford and the Plight of the Dissenting Aesthete’. After a lunch break in which academics and enthusiasts alike discussed Mark Rutherford over a buffet lunch, some early researchers were remembered. 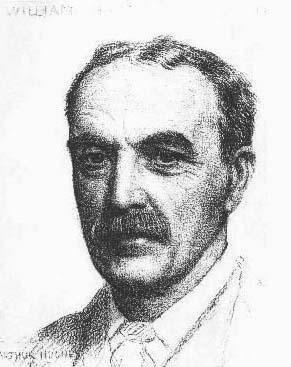 Nicholas Jacobs looked at the contribution of young German researcher Hans Klinke who wrote his thesis in the late 1920s as well as noting that there were translations of Rutherford's books in French, Italian and Czech as well as Japanese. Nick Wilde read a letter from 95-year-old American Wilfred Stone recalling his work on Rutherford in the 1950s and Mike Brealey (author of Bedford's Victorian pilgrim: William Hale White in context, Paternoster Press, 2012) told us about an early British pioneer of Hale studies, Henry Arthur Smith, whose thesis appeared in 1938. The afternoon concluded with Jean-Michel Yvard, from the University of Angiers in France, who discussed whether Mark Rutherford was an agnostic or a believer and Max Saunders, Professor of English at Kings College, London (author of Self Impression: Life-Writing, Autobiografiction, and the Forms of Modern Literature, OUP, 2010), spoke about the nature of fictional autobiography. The day finished with an entertaining monologue by Mark Crees, Chair of the Mark Rutherford Society, imagining himself at Mark Rutherford’s grave in Groombridge, Kent. PS Mark Rutherford's descriptions of nonconformists in mid-nineteenth century Bedford is drawn upon by the author of BHRS's 2013 volume The Rise of Methodism: a study of Bedfordshire 1736-1751, to be published in 2014. For anyone interested in Mark Rutherford visiting this blog. Mark Crees, Chairman of the Mark Rutherford Society, will be giving a talk at The Higgins Art Gallery and Museum, Bedford on Tuesday 29th October 2013 on Mark Rutherford's People: Selected Readings from 5.30pm - 7.30pm, tickets are £10, concessions £8 including a complimentary drink. Please book on 01234 718618.